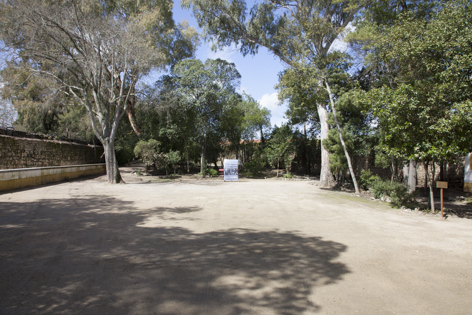 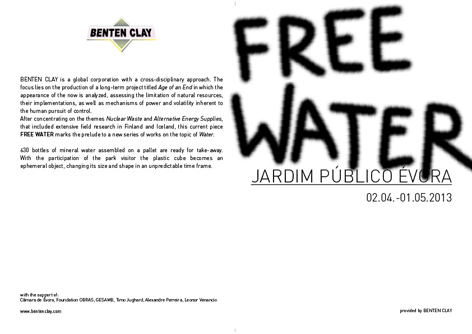 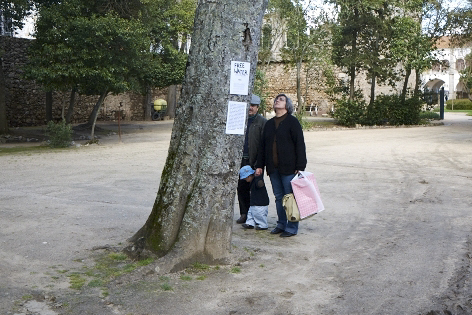 BENTEN CLAY, currently staying at the artist-in-residence Foundation OBRAS in Evoramonte, got invited by the Municipality of Évora to present a sculpture in the Jardim Público. 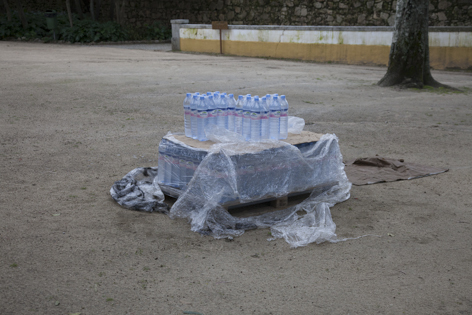 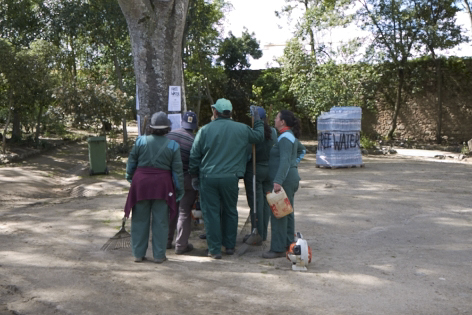 The artists, working on environmental and political topics, will install an–as they call it–"ephemeral object" in the park by putting up a freshly purchased pallet of 630 1.5 liter bottles of mineral water and spray the graffiti tag "FREE WATER" on the wrapping. 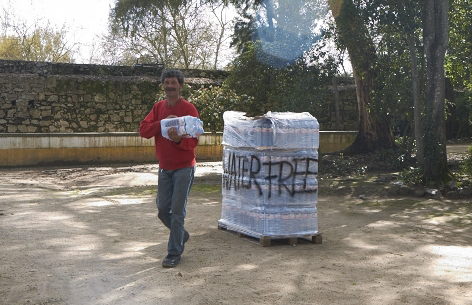 This controversial project–a global corporation with German origin providing free water for everybody–is meant to raise attention towards aspects like water privatization (a current Portuguese and EU-wide issue), limitation, lobbyism, water quality, price increase of necessities and plastic waste. 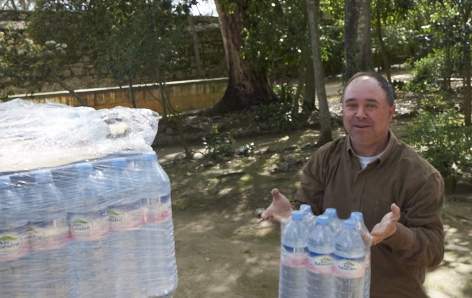 It is an action both depriving and empowering, with an inbuilt uncertainty of how the object will change its shape and size by visitors taking away the free water bottles over the time of the exhibition.